I love your style simi keep the fire burning. Simi is taken over d musik industry.i luv her style of music. to my most cherished female artist. Simi, i must confess, your voice is to magical. Hi, Nice Track and Keep it up. This music is cool mehn i luv it..
simi this song impressed me.Continue with your beautiful and magical voice,cngrates dear friend!!!!! 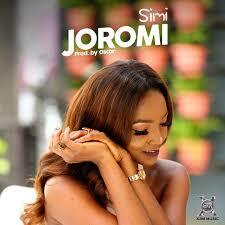 Hello Simi my name is Prince,am from Ghana and l really enjoy your music and with your awesome voice.this song joromi has touch my heart.God bless you and keep it up. Wow….I still mark your word. you Quote”I won’t all my music to last long, even when you are no more. Nice song Simi. Keep the good music going. simi, you’re really up to something. Muah..
Simi this song is the best I have ever think of you know what I will not forget to play it the day of my wedding oooh Lola Simi I love you. From Speed Bliss. i lov dis song. it beautiful. Wow this girl is too good, i like her song. Waw, I love your style, your voice nd your outfit hmmmm I think simi is beating other female artist but is dat guy ur crush? Nice one from queen of 9ja, carry on. I love everything about you… Simi..
Wow Her Voice Is Wonderful Nd She Is Beautiful. she is so amazing luv you dear God gat your back. Nice song for my heart cool! Dis song blow my head, I dance till I almost throw away my rifle, keep it up (simi ). Well done Simi ..she is bringing révolution to thé music industry in Nigeria. Simi baby, u be diece pineapple,I love your style keep the fire burning baby ,one love. I love this song, Simi keep it up. and glad to have downloaded it. Beautiful music I love it! ¥Simi¥I luv ur music bcoz of ur golden blessed voice#! I love all the simi songs. May God be with her. 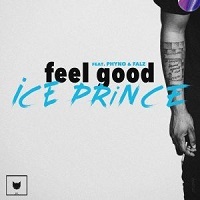 cool song I like it. sisi l need to be like u what is the way sister!! it an awesome song by simi, all i have is keep it up. (i love you). Hello Simi my name is prince from Ghana.l do enjoy your song which is joromi ,when ever l listen to that song l becomes happy and also fall in love with your awesome voice.God bless u.